With locations in key markets such as Memphis, Nashville, Dallas, Birmingham and Huntsville, we are located in some of the Southeast’s largest rail hubs. Although our company is well established, IMCG never stops innovating. Our staff always seeks out the most efficient and effective new tools to improve our business. All of our trucks are equipped with the latest innovations in technology including on-board computers, allowing you to track the status of your cargo at any time. In addition to secure, real-time location tracking data, we also provide access to your container’s status, estimated arrival time, pool management reports and more. 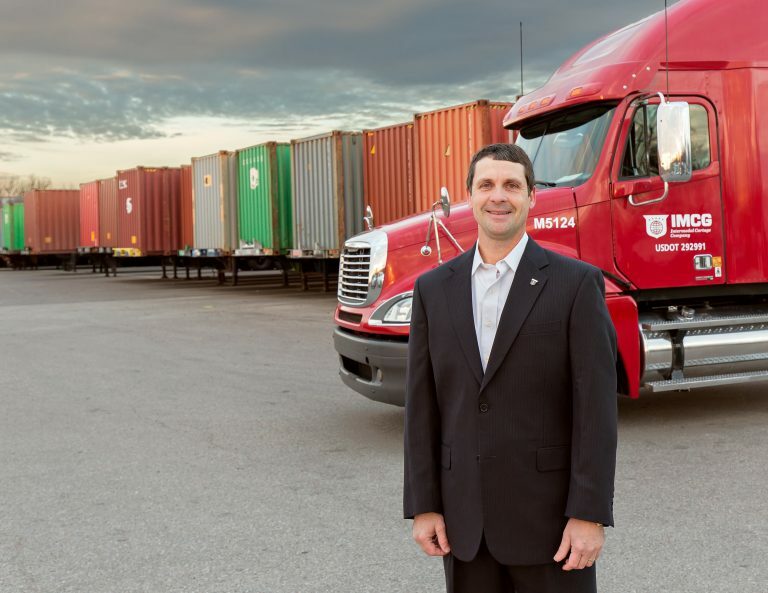 The majority of our company trucks are less than a year old, meaning fewer unnecessary delays. Drivers and employees of IMCG are highly trained in their area of expertise and are prepared to handle equipment and cargo in the highest professional manner. By supplying our drivers with the newest trucks, the latest technologies, and the highest safety measures, IMCG is both a great place for our team and customers alike. Intermodal Cartage Company, Inc. is part of the IMC Companies national network of intermodal logistics businesses providing an array of services including container drayage, truck brokerage, warehousing, expedited services, chassis provisioning and secured container storage. IMCG is committed to investing in the cities where we live, while taking steps to make a better impact on the world around us. In fact, the EPA has recognized us as a SmartWay Transport Partner for our dedication to improve the environmental performance of our freight operations. As a testament to our commitment to excellence, we are proud to be aligned with leading industry organizations such as The American Trucking Association, The Tennessee Trucking Association, IANA and SmartWay.